Young Skål is a category of Skål International especially for students and young professionals directly related to the travel and tourism industry. 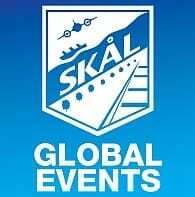 The mission of Young Skål is to enrol, all persons training or working in the sale and/or promotion of the tourism worldwide, into the movement. The objective is to welcome them into the world of Skål International and to familiarise them with Skal values ie. Friendship, Peace, Solidarity and promoting Goodwill in the tourism industry, thus ensuring that once a managerial position is reached, the young skålleague will continue to support the movement strongly, its ideals and principals and being a leader, to proactively transform the environment in which he / she lives. Young Skål is a student or young professional non-profit making organisation which is directly related to the hotel, tourism, leisure and passenger transport industry. Young people are bringing to Skål their innovative power and they will benefit from the experience of the active members who may become prospective employers. In the hard competitive world, as Skål embraces all sectors of the tourism industry, it can act as an oasis free of competition, where they can find protection and support and they might even meet their mentors! Young Skål members have the opportunities in areas related to the travel and tourism industry. The Skål motto is: “Doing business among friends”. Young Skål Pretoria meets on a monthly basis where we hold a cocktail function, or we meet for dinner. At these functions, we network, have fun and get to know one another and about the different segments in our industry. Young Skål members are also invited to the main Skål lunches, where they are able to meet and network with the elite in the tourism industry. HOW CAN I JOIN YOUNG SKÅL? You must be at least 20 years of age and not older than 29 and agree with and accept the objectives and regulations of the Young Skål Group. You will be required to complete a membership form, which must be submitted together with an ID photo, a business card (if available) and membership fee to the Young Skål President Pretoria.